...and Bob Strzelewicz, Steve Madden and Ted Amaral. Nice picture guys, and good remarks Leo, they sure picked the right guy to interview. Do you think people are picturing us with bearclaw necklaces? Ted Amaral photographed something interesting at Norton Res. 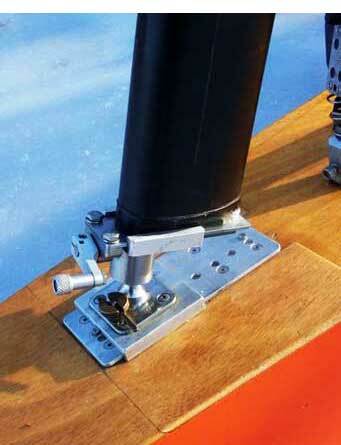 It's Art Menard's easy-adjust mast step. I don't know what Art calls it, but it looks pretty nifty. There's a quick release pin for fore and aft travel of the ball, and a crankable adjuster for the location of the socket on the mast. 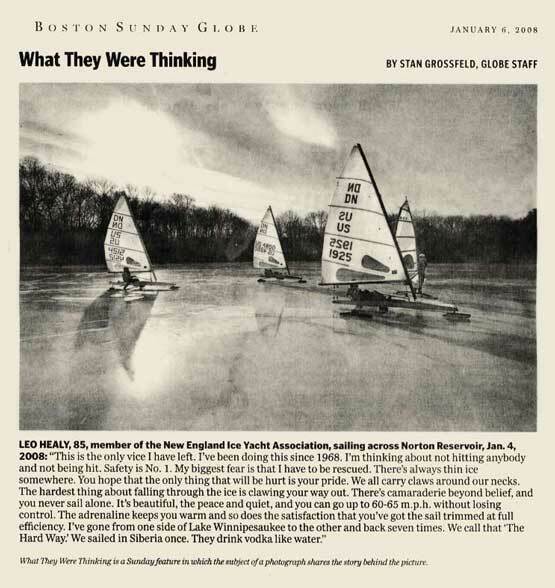 Another iceboating innovation from Art Menard.